Create a brand narrative that reflects the excellent experience their students receive. Distinguish The Gardner School from other prominent preschools. The Gardner School is headquartered in Franklin, Tenn., and has early childhood education centers for children ranging from six weeks to five years old across Illinois, Kentucky, Minnesota, Ohio, Tennessee, and Virginia. The organization hired Green Apple in 2014 to serve as their marketing provider and still utilizes the firm today. During the past few years, The Gardner School has experienced extreme growth, and Green Apple has helped the organization expand their online presence which each new market. While a new website would definitely help The Gardner School match the web properties of other schools in the area, Green Apple saw this project as an opportunity to tell a completely new story that would stand out and capture all the benefits Gardner had to offer. Green Apple helped The Gardner School build a website that would create an experience for visitors. Google 360° images were taken of the facility and added to the website to provide out-of-state parents with a virtual tour. 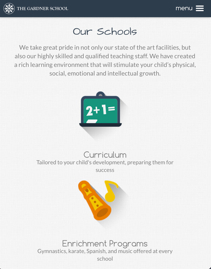 The website was also built to create a personal experience for every prospective parent by helping them navigate towards information for their specific age range, including an in-depth look at the curriculum the school used for it’s pre-K and Kindergarten classes. These new features add features would truly become differentiators for the center. The most significant change to the website wasn’t the new look and feel, it was a video that perfectly communicated the value of The Gardner School. While other preschools in the area used videos with parent testimonials or a welcome from the director, we saw the website relaunch as an opportunity to tell a truly unique story through the lens of a Kindergartener. In addition to maximizing advertising opportunities, Green Apple worked with The Gardner School to integrate the story into the interest meeting for prospective parents and children. 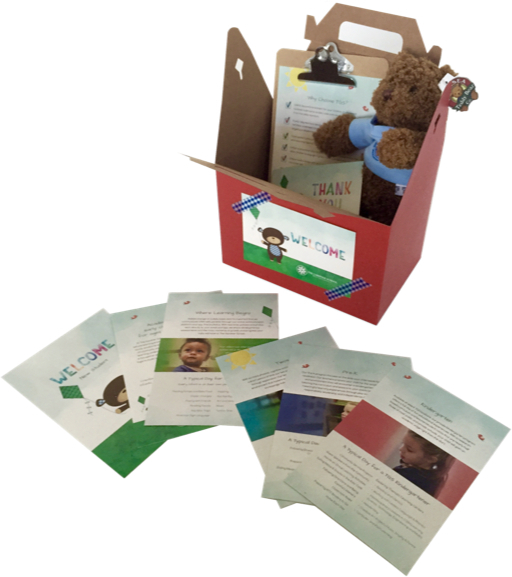 Instead of providing parents with a packet of information, Green Apple helped The Gardner School develop an entire welcome kit complete with a stuffed bear, pencil, and clipboard the child could use to draw and “take notes.” The kit became a hit with parents and kids, providing another way for The Gardner School to differentiate itself from other preschools.